Curiosity usually gets the better of the horses when they’re presented with company. 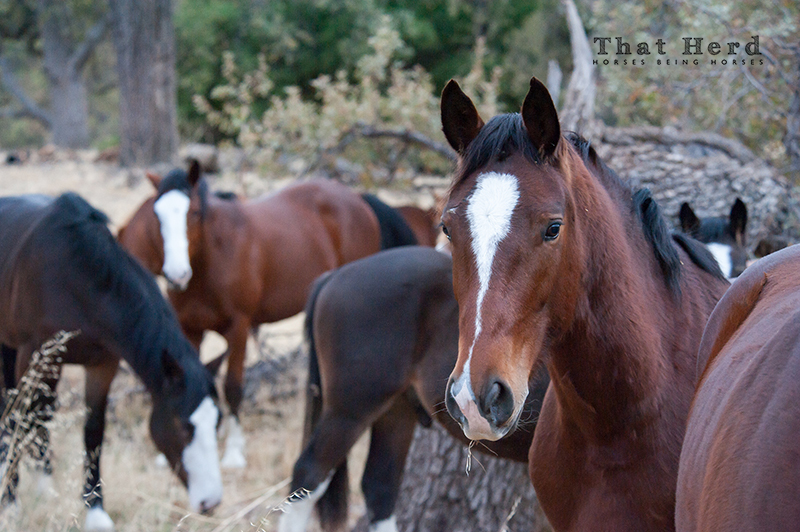 On this occasion, these young horses were content to just let me hang around and wander among them. I have to respect their personal boundaries and cannot touch them, but they are, for the most part, unafraid. I don’t do anything to alter their behavior or movements. For this, I am rewarded with some friendly faces in the crowd, like this one. Not uncomfortable with the occasional human visit, these two and three year old horses don’t mind hanging out for a while.